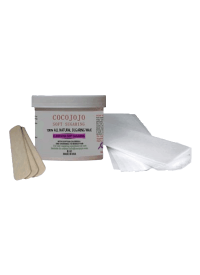 CocoJojo offers you the same sugaring technique that Cleopatra used to remove her unwanted hair. If sugaring becomes too sticky, get a new piece of sugaring and stretch it diagonally over the sticky area and then pull quickly. Whenever you feel sweaty, add the appropriate amount of sugaring powder and then continue sugaring. Do not over add the powder. 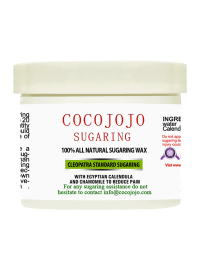 Though sugaring is the best natural way to remove short hair, very short hair is a little bit harder to remove, so allow a period of growth for at least 6 to 8 days. When you receive your jar, place it on a table for at least 30 min before opening. When you put your jar into a microwave you should be aware that the down side of the jar is hotter than the top and the middle is hotter than the outside of the jar. 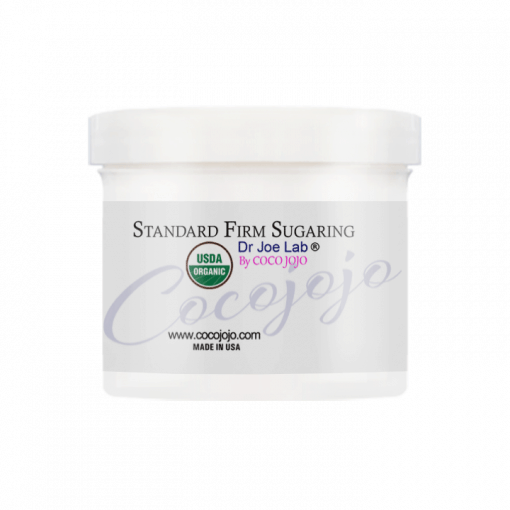 Sugaring is a kind of relation between sugaring paste, your body temperature and room temperature. An example is if the room temperature is so warm that the sugaring solution becomes soft or if the room temperature is so cold that the sugaring becomes hard. 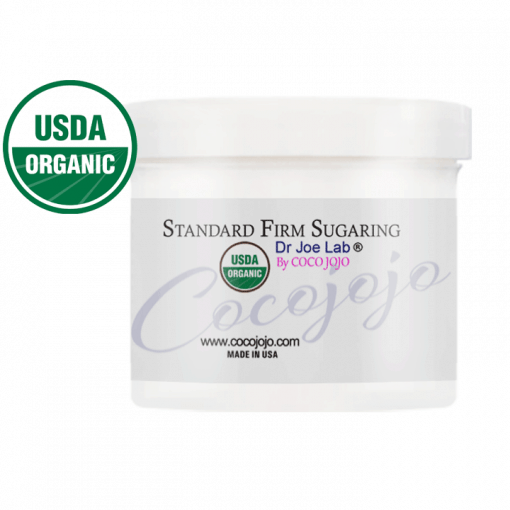 Sugaring solution becomes hard at about the same temperature as normal body temperature and it becomes soft and may also stick to your skin. For that reason we recommend that you use sterilized sugaring powder and take the room temperature into consideration. If sugaring solution is too hard you may add 1 drop of hot water and mix it up or you can turn up the heat in the room. 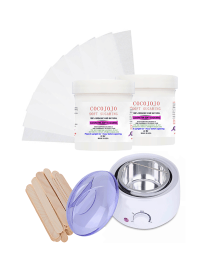 If your body is sweating, the sugaring will not adhere to your hair, so we recommend that you clean your skin and apply sterilized powder and also turn on a fan or air conditioning to get cooled off.